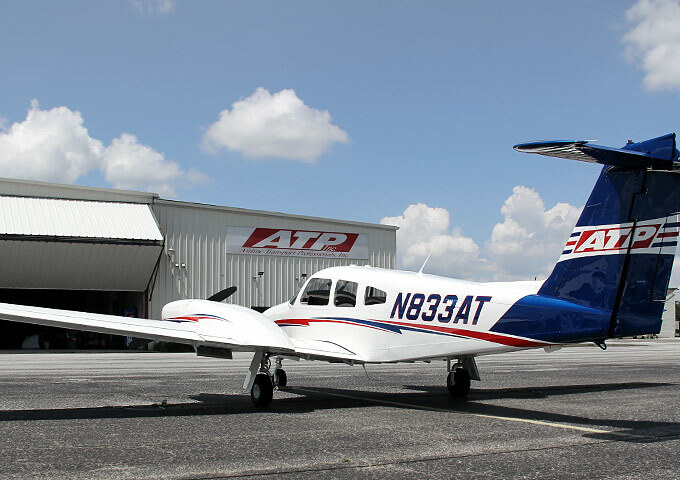 In 1984 ATP pioneered accelerated, professional multi-engine flight training with an emphasis on pilot career development. Today ATP’s Airline Training Programs prepare pilots for airline careers with nationwide flying experience in multi-engine aircraft. Airline hiring partnership letters with 12 leading regional airlines recognize the value of this experience, by offering ATP pilots specially reduced flight time minimums for airline employment, enabling pilots to reach their career goals faster. ATP flies over 9,000 hours and provides more than 350 FAA pilot certifications each month at 26 locations nationwide.